Applying gtk and shell themes is one of the best ways to revamp the desktop without changing distro! Applying shell themes are great ways to revamp your desktop environment. There are several free eye candies to choose from the community. Themes to make your Fedora look like MacOS or Windows or something like never seen before, all come totally free! Today, let’s take a look at the method of applying themes in your Fedora Workstation. Fedora uses the GNOME desktop environment, which by itself has a big community support. Hence you can find some really cool themes for your desktop. This guide is tested to be working in Fedora 28. It should work in lower version up to Fedora 25 without any issues. 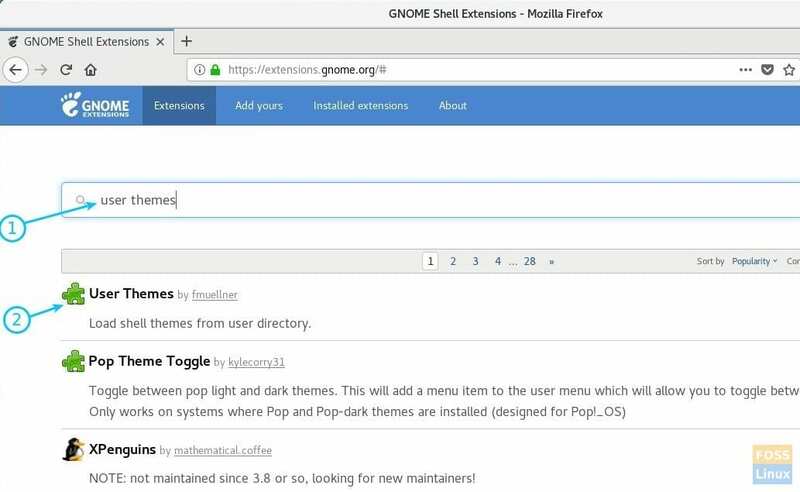 GNOME themes can be broadly classified into two categories including GTK themes and Shell Themes. Let’s quickly take a look at each of it. A GTK theme provides the widgets (menus, buttons, scrollbar etc.) and layout of the programs. GTK+3 is the latest version as of today available from the GNOME environment. Fedora 28 uses GTK+3 and so you need to downloaded GTK3 themes for theme compatibility. You can download your favorite themes from the hundreds at the official website. 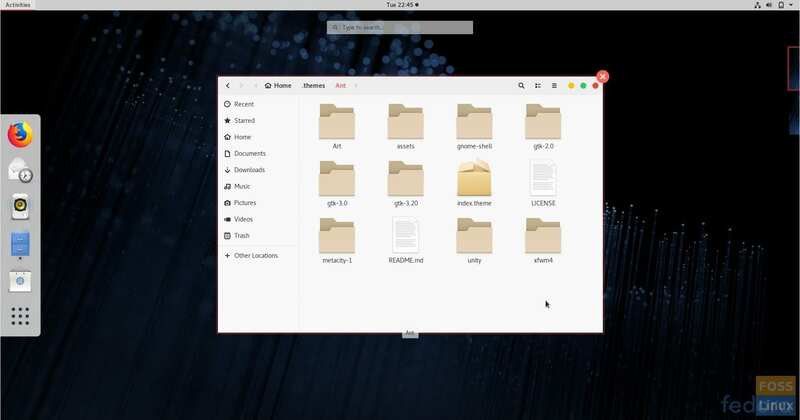 GNOME Shell theme provides the overall appearance of the desktop such as the top panel, menu, task switcher appearance etc., and other animation effects. You can download your favorite Shell theme from the official webpage. These two themes should help you in greatly customizing your Fedora appearance. 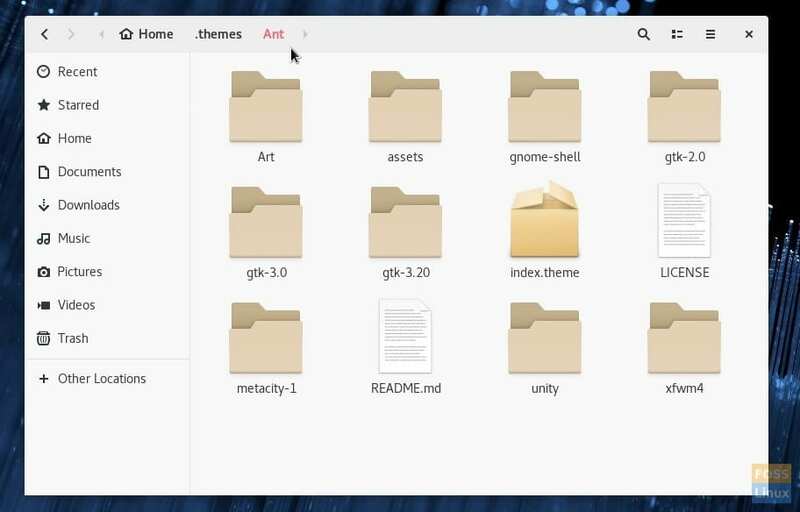 Some developers make it easier for you by bundling the GTK3 theme and shell themes together, so look out for them for a consistent appearance. 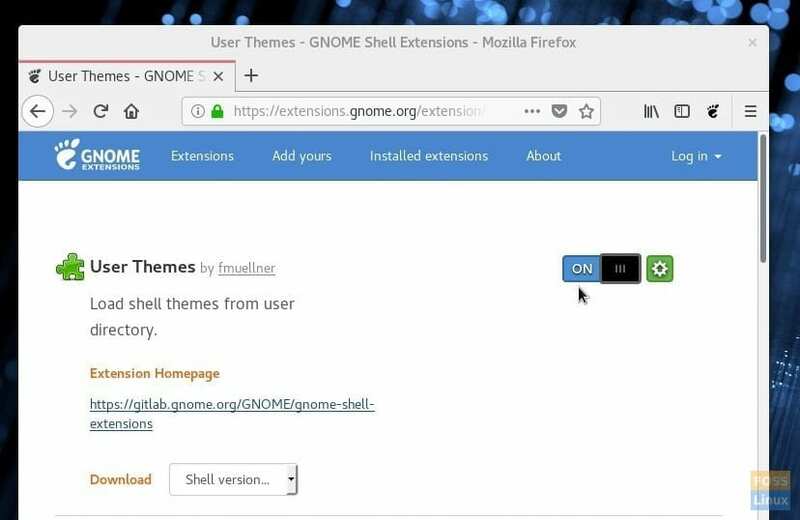 In order to install the theme, you first need to install GNOME Tweaks Tool. Launch the Terminal and enter the following commands one at a time and press enter. Click on the link “Click here to install browser extensions” and add the Add-on. Look for ‘user themes’ and click on the first result ‘User Themes by fmueliner’. Enable it ON by moving the slider. GNOME Shell integration is now complete. You can now install the themes. For illustration purpose, I have downloaded the Ant theme that comes packed with GTK3 as well as the Shell themes. Ant theme is a flat theme inspired by MacOS and comes in dark flavor too. If it’s your favorite too, you can grab a copy from the link below. 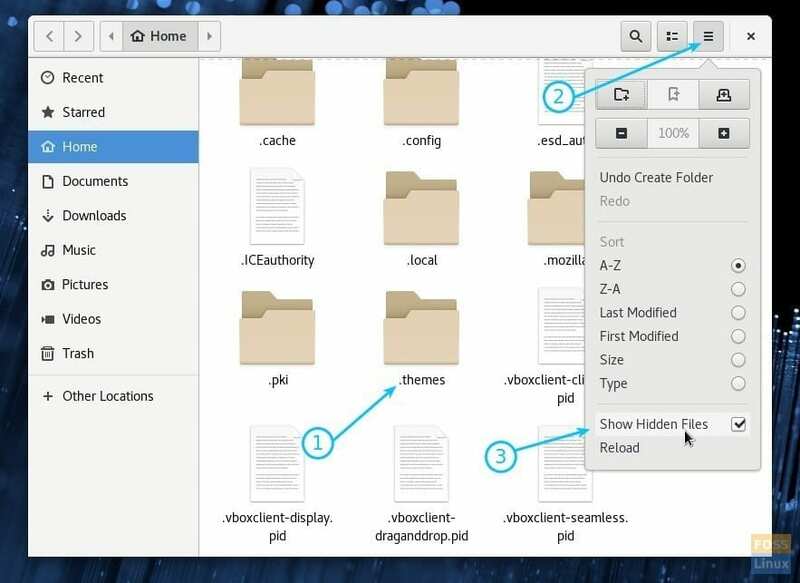 Open the File Explorer and create a new folder named .themes in the “Home” directory. The folder is invisible by default settings. You have to enable ‘Show Hidden Files’ to see it. Copy and paste the downloaded file and extract the content. The contents should be at one level. Launch the ‘Tweaks’ app from “Activities”. In the “Appearance” tab, select “Ant” in ‘Applications’ and the ‘Shell’ section. Click OK.
You should immediately see the new sparkling theme settings taking into effect. I suggest to log out and log in again for complete shell integration to take place. Enjoy! Just want to Say Thank God for Foss and Thank You, because you have helped myself and my Missus out numerous times with various problems. SO once again Thank You because you are One of the Best . Thanks Kiran for putting up the article and saving time for me to google around for information related to Fedora I am newbie on Fedora and recently installed it finding nothing is visible on desktop no icons, no folders.. somehow brought up to working level and wanted to add some colors to its themes so got here.